يقع Panorama Tower على بُعد 5 دقائق سيراً على الأقدام من وسط سيرفرز بارادايس، ويقدم أماكن إقامة مع شرفة خاصة كبيرة وإطلالة بانورامية على النهر. ويتوفر مسبح في الهواء الطلق ومرافق للشواء لأجل استمتاع الضيوف. يقع Panorama Tower على بُعد 5 دقائق سيراً على الأقدام من شارع كافيل حيث يكون هناك مجموعة متنوعة من المحلات التجارية والمقاهي والمطاعم. تحتوي كل شقة على تلفزيون بشاشة مسطحة ومطبخ مجهز بالكامل مع فرن وميكروويف وموقد، وتوفر بعض الشقق مرافق غسيل الملابس. يقع كل من فندق وكازينو Jupiters ومنتجع سي وورلد ووتر بارك على بُعد 10 دقائق بالسيارة، كما يقع كل من دريم وورلد وWarner Bros Movie World ضمن مسافة 25 دقيقة بالسيارة. تتوفر مواقف مجانية للسيارات في الموقع للضيوف. ويمكن الحصول على خدمة الواي فاي مقابل رسوم إضافية. يُرجى ملاحظة أن سيتم إغلاق المسبح خلال أيام الأسبوع/ساعات العمل في الفترة من 20 أغسطس 2014 وحتى نهاية سبتمبر 2014 بسبب أعمال الطلاء الخارجية لمكان الإقامة. يجب على الضيوف إبراز بطاقة هوية تحمل صورة شخصية وبطاقة ائتمان ساريتا المفعول عند تسجيل الوصول، ويجب أن يتطابق الاسم الوارد في بطاقة الائتمان وبطاقة الهوية مع اسم الضيف في رسالة تأكيد الحجز. يُرجى ملاحظة أن Panorama Tower يتطلب دفع وديعة نقدية بقيمة 200 دولار أمريكي عند تسجيل الوصول لتغطية أي رسوم طارئة. يُرجى إبلاغ Panorama Towers مُسبقًا باستخدام بيانات الاتصال الواردة في رسالة تأكيد الحجز عند توقع الوصول خارج ساعات عمل مكتب الاستقبال. يُرجى ملاحظة أن مكان الإقامة هذا ليس لديه أي سياسات أو إجراءات أو موارد متاحة لتلبية الاحتياجات الفريدة لخريجي المدارس خلال فترة "أسبوع خريجي المدارس" السنوية، كما لا يملك الموارد الكافية لاستقدام أفراد أمن مؤهلين لضمان أمن وراحة واستجمام الضيوف من خريجي المدارس خلال هذه الفترة. يُرجى ملاحظة أن هذا الفندق يلتزم بشكل صارم بسياسة "عدم إقامة الحفلات"، وسيؤدي أي انتهاك لهذه السياسة إلى الطرد من مكان الإقامة وفرض رسوم تنظيف إضافية. يُرجى ملاحظة أنه يجب أن يكون الأطفال الذين تقل أعمارهم عن 18 عامًا برفقة شخص بالغ. The property is quite dated, but otherwise excellent in terms of location, cleanliness and staff. If you're spending some time in Gold Coast and don't expect to spend too much time in the hotel using its facilities, Panorama Towers is the perfect choice! Bay windows in bedroom and lounge with view to the river! Very secure easy access to shopping and entertainment. Million dollar view. Quiet, convenient with kitchenette facility. Near to bus station, easy to travel. Nobody clean up the apartment for my stay for 5 nights. It is a nice and convenient apartment c/w kitchenette, good for those want to cook. Also, it is only 5 minutes walking distance to bus station, 10 minutes to surfer paradise. It is good for those who like quiet time. Apartment is facing the river, very peaceful feeling. great location, just a few mins walk to city centre great view from room!!! overall, we had a great stay in this hotel it is perfect for people looking for a not-that-expensive place to stay but with relaxing view and environment, plus a perfect location close to the city centre i would certainly like to stay there next time! This was agood value for money hotel appartment. 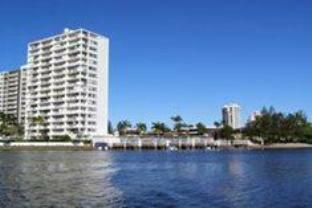 It;s location was very handy,not in the hustle and bussle of Surfers Paradise but still in walking distance of everything,we didn't really need a car. The only negative thing is ther were no supermarkets close by and it was a good15 minute walk to the beach. The night clubs were very close by but never kept us awake. Was a huge apartment - we were upgraded to two bedrooms as original one had faults. Large balcony, plenty of space and only 10mins walk to centre. Apartment was a bit tired. could do with lick of paint. Advertised as hotel, but was apartments, so no real facilities expected of hotel. The apartment was huge and well equipped but did need coat of paint. Had washing machine and dryer and 2 large bedrooms and fabulous balcony overlooking the river. Was 10mins walk into town so you were not far from the beach or shopping or restaurants. Very good value for money.Only downside was that there are a couple of hostels nearby which were quite noisy at night. This hotel is totally over priced. Reception service is bad too. We arrived at Sunday, there is no reception. and have to wait outside to call in to request for check-in. Room is really old. a little far from town too. I would rather pay little more $ to stay other hotel. Kitchen stuff is old and dirty. The View was great overlooking the river but the bad far outweighed this. i stayed at this hotel under this booking number on the 21-23 February and was disgusted at the quality of the room. The hotel description said that the room was airconditioned (there was an aircon but no remote was provided so it couldn't be switched on) There was also a curtain missing from the living room meaning that not only did we not have aircon but the room had the afternoon sun and was extremely hot. The bedroom window was also locked with a key and we weren't provided with one to open it so it to added to the already hot conditions. The reception only operates to 12 noon on Sat so i couldn't raise any of my concerns with anyone. the unit was dirty dishes were filthy no remote for the television and the coffee provided in sachets was off like it had been exposed to dampness as it had all gone rock hard. The telephone cords were in the wall but the phones were missing. i was bitterly disappointed with my stay here and use agoda quite frequently without disappointment on your site the Panorama tower was graded as 4 star and it clearly isn't. i stayed here for my husbands and my 1 year anniversary an occasion which should have been lavish and memorable and feel the only memories i will take away with me is disappointment.